Things to Do for Presidents Day in Washington, D.C.
Presidents' Day weekend is a great time to visit Washington, D.C. and pay tribute to America's most famous leaders. The national holiday, Presidents’ Day, was originally a commemoration of George Washington's birthday. America's first president was born on February 22, 1732. After Washington's death, our nation began celebrating his birthday as a way to remember his life and how he contributed to establishing America's independence. In 1865, the year after Abraham Lincoln was assassinated, America began celebrating Lincoln’s birthday on February 12th. Until 1971, both February 12 and February 22 were observed as federal public holidays. In 1971, President Richard Nixon combined the two holidays into one and ever since we have honored all past presidents on the third Monday of February. Special festivities are held in the Washington, D.C. area throughout the Presidents Day weekend. See the following pages to learn about a variety of attractions to visit and unique ways to celebrate Presidents Day in the capital region. 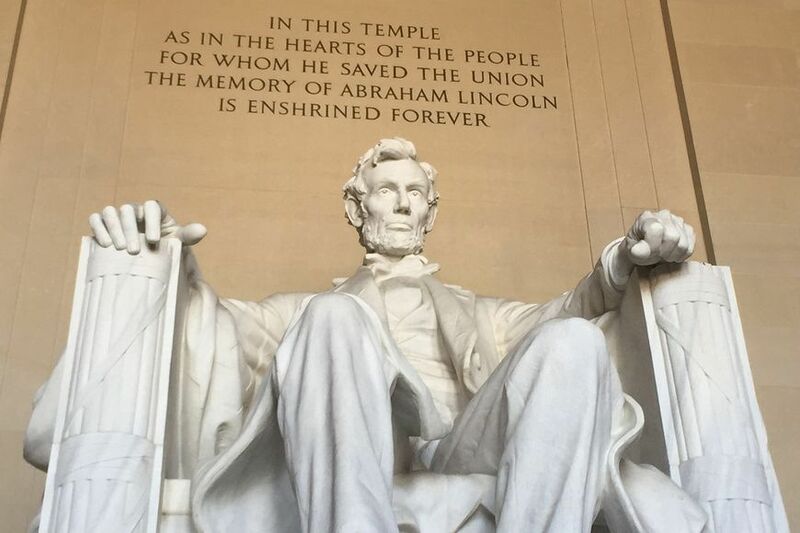 Visit the Lincoln Memorial and honor President Abraham Lincoln's birthday at a wreath-laying ceremony with a dramatic reading of the "Gettysburg Address." Presidents Day weekend is a popular time to explore one of the nation's most important memorials. The historic landmark offers panoramic views of the nation's capital and is one of the top attractions in Washington, D.C. The country’s largest Presidents' Day Parade is held annually in Alexandria, Virginia along the streets where George Washington once walked. This year's date is on February 18, 2019. Spend the day exploring historic sites in Old Town Alexandria, the historic town that was an important port during the colonial, revolutionary and Civil War periods. The 500-acre Mount Vernon Estate and Gardens, the home of George Washington, offers three days of special events for Presidents Day weekend including music, demonstrations, wreath-laying ceremonies, and storytelling. It is a great time to visit the historic attraction and learn more about the life of the first president of the United States. Admission is free on Presidents Day! The American Presidency: A Glorious Burden exhibit at the Smithsonian National Museum of American History explores the lives and contributions of the 43 men who have led the nation in the past 200 years. The exhibit features more than 900 objects and artifacts that bring to life the role of the presidency in American culture. View the "American Presidents" exhibit and see a portrait of every American president including rarely seen works of George Washington and Abraham Lincoln. On Presidents Day weekend, the National Portrait Gallery will offer a variety of family fun activities ranging from calligraphy workshops to scavenger hunts, games, music, and hands-on activities. Each year, the Saturday night before President’s Day, a Birthnight Ball is held at Gadby's Tavern in Alexandria, Virginia. The ball is complete with toasts, dinner, a historical program, and George Washington's favorite 18th-century dances. Gadsby's Tavern is one of the few 18th-century taverns still in use in the United States. George Washington, John Adams, James Madison, and Thomas Jefferson frequently attended dances, theatrical performances, and meetings here. Reservations are required as this event always sells out! For tickets, visit www.alexandriava.gov. This year's event will be held Saturday, February 18 from 5:30 p.m. to 11 p.m. in the historic ballroom. Take a free tour and walk in George Washington’s footsteps through his hometown, historic Alexandria. View some of the sites connected to the General, like where he filled his prescriptions or slept overnight. Begin your journey at the Ramsay House Visitors Center (221 King Street, Alexandria, VA). The Fort Ward Museum in Alexandria, Virginia will host Revolutionary War Day on Sunday, February 17 from 10 a.m. to 3:00 p.m., with encampment activities beginning at 10 a.m. and a skirmish at 2 p.m. where you can learn about fighting tactics and what life was like for Revolutionary War soldiers. Photo: Kris Connor/Getty Images for Rubenstein Communications, Inc.
Madame Tussauds Washington, D.C. houses a US Presidents Gallery, which features wax figures of all 44 US Presidents. The interactive attraction brings historical figures and events to life through wax figures that visitors can touch, see and hear. Visit Other Presidential Related Sites In Washington, D.C.
How to Celebrate Martin Luther King Jr. Day in Washington, D.C.
Best Things to Do for Kwanzaa in Washington, D.C.